The end of the year is always full of some serious celebration for me. With a birthday right before Christmas, Christmas itself, and all the celebration and hangovers that accompany New Year's Eve, there's a lot to be happy about. In addition, I have gifts and presents to celebrate over that I know you all will also appreciate. 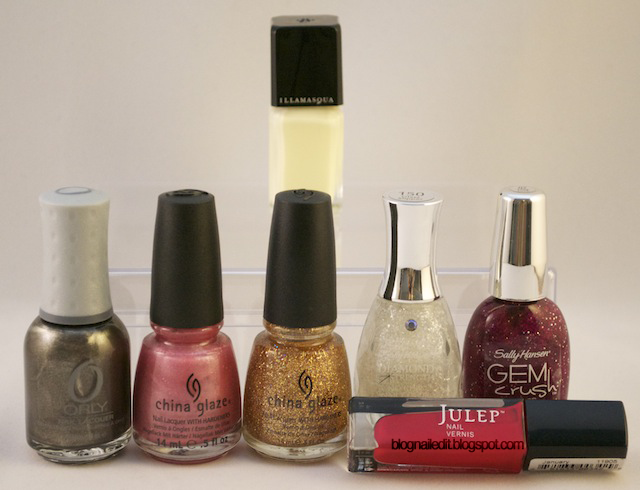 Of course, I recieved some lovely non-nail gifts and love from my family and friends that are also reason to celebrate, but since this is a nail blog, I'll just share those with you today. ...and a glass nail file. 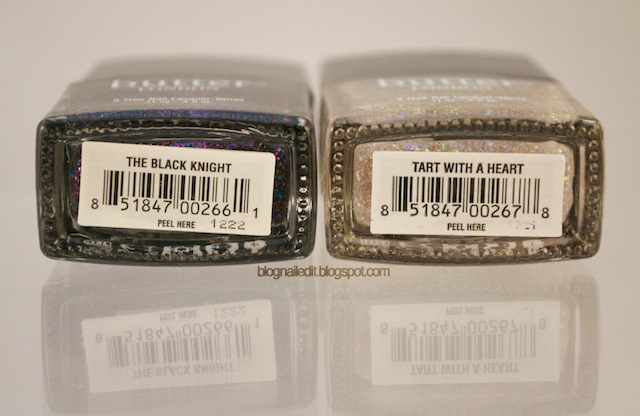 She gave me the Butter London Dressing Table duo, Black Knight and Tart with a Heart. Unfortunately, the dressing table suffered a fatility during the 17-hour car ride, so it won't be making an appearance in today's shots. 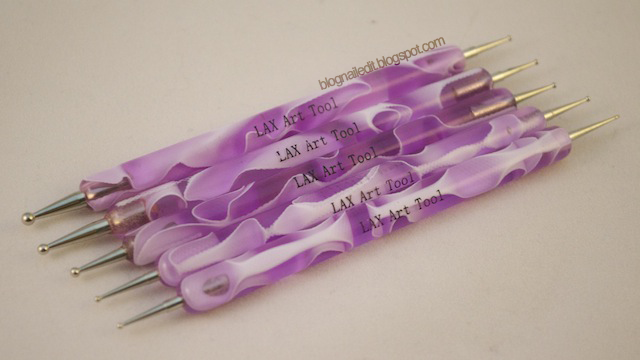 She gave me some amazing nail art brushes I've never heard of, but definitely want more of. 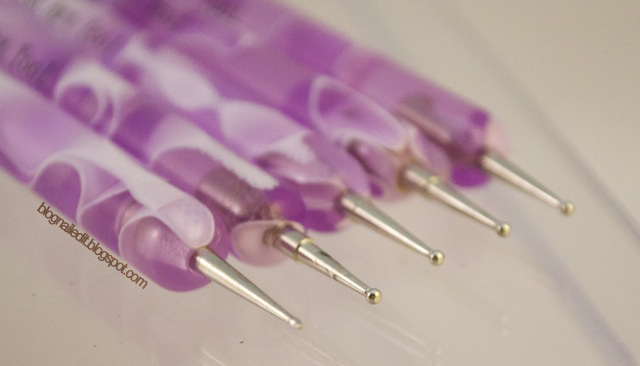 The formula on all of these is great, and only requires one coat. 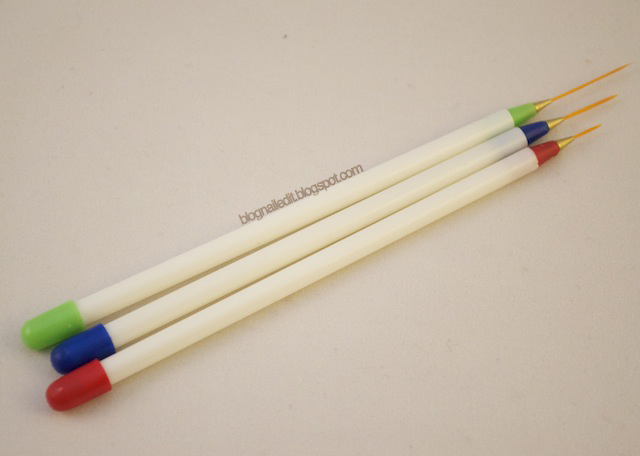 That's practically unheard of with brighter striping shades. All of these are from a company called Color Madric. 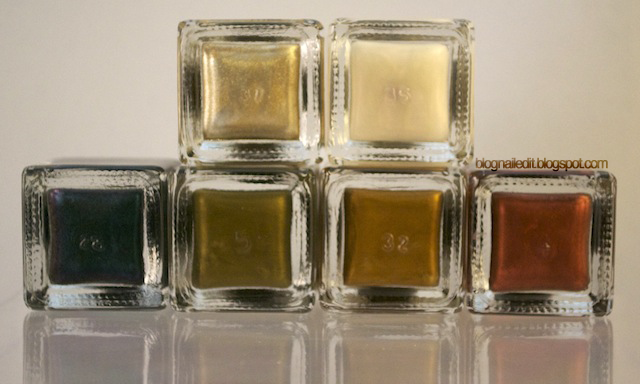 They're all sort of metallic, not matte as their bottles seem to indicate. 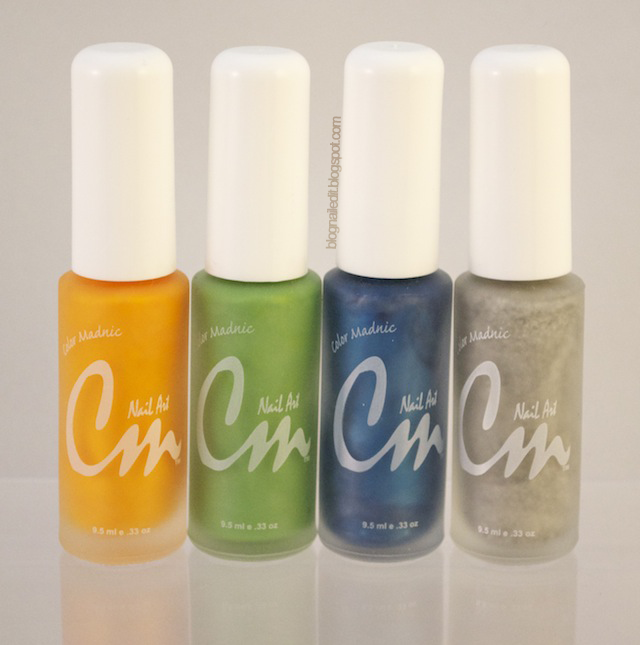 Shown here is Design Yellow, Green, Ocean Blue, and Hologram Glitter. Hologram Glitter really is holographic, as I tried to capture here. 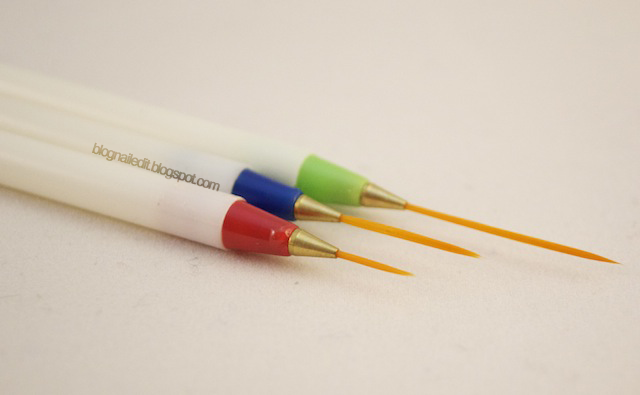 Shown here are the metallics from the Metal-licious collection of Color Madric brushes. 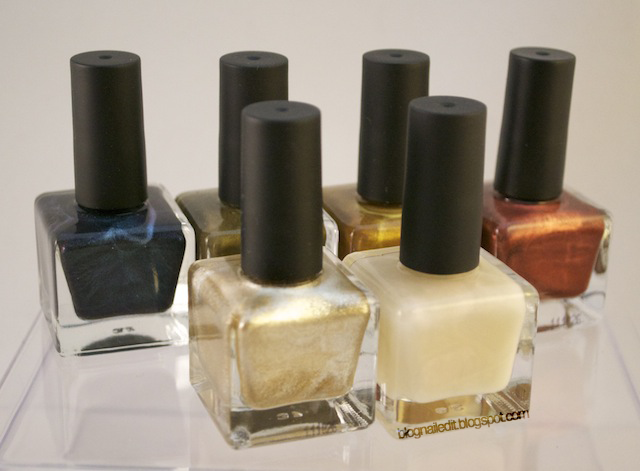 These colors are Am-Ore, Platinum Rush, Lead to Riches, Metal-Licious, Iron I Lovely, and Gold Digger. These all appear metallic, as their collection's name suggests. She gave me part of L.A. 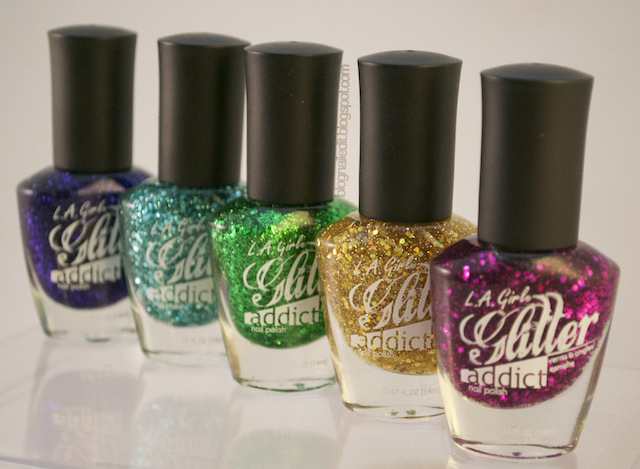 Girl Glitter Addict collection, including the elusive Uninhibited I've been craving since I saw Rie from Nails and Noms use it. Shown here are Uninhibited, Jostle, Animate, and Celebrate. 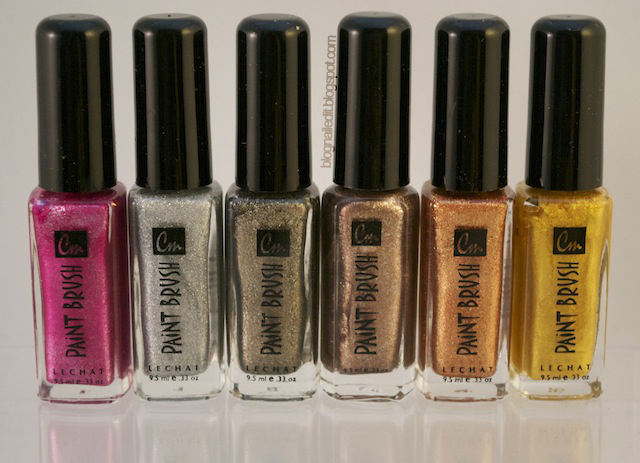 A few days after getting these, we stopped by a random Rite Aid to get Andy some contact solution, and I saw a glittering display of five more colors from the collection! I added Eutopia, Nostalgic, Purge (a new nail polish name favorite in my book), Synergy, and Provocative to my infant collection. Now it's a glittering grand collection! 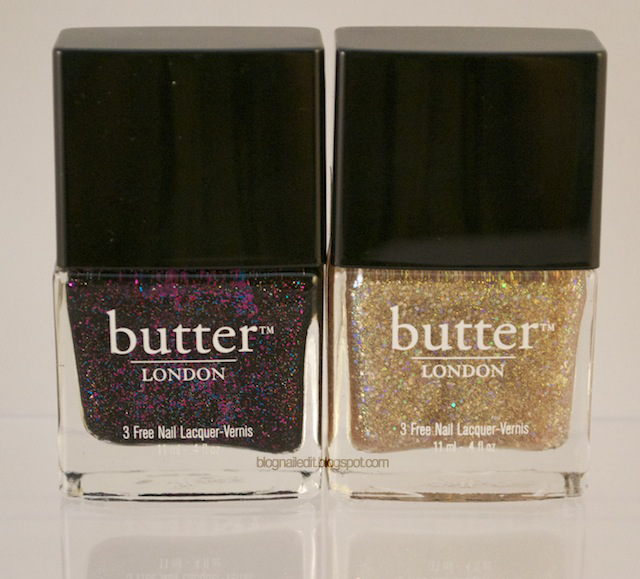 She gave me some polishes we had talked about over the phone. These are randoms I mentioned liking that she had cheap access to out there in So-Cal. 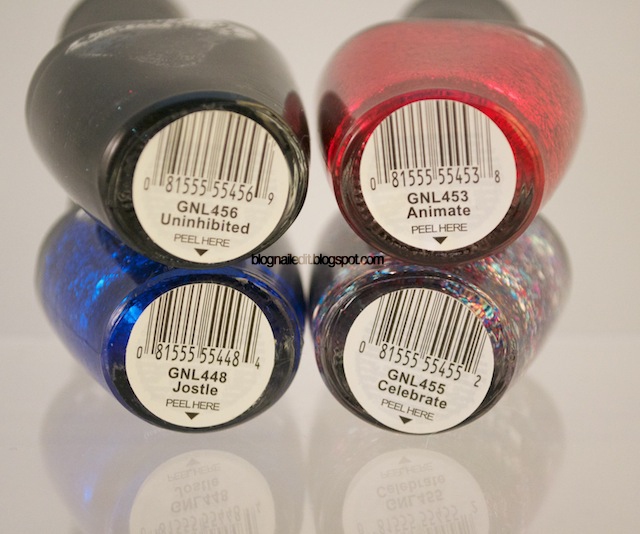 Shown here is Sea Gurl from ORLY, Good Witch? 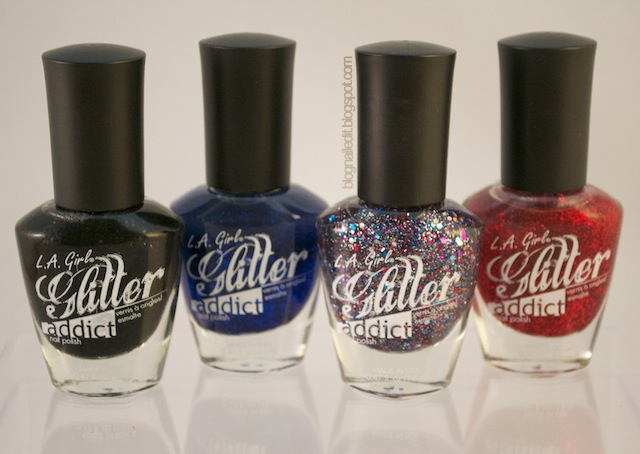 from China Glaze, Cleopatra also from China Glaze, Glass Slipper from Sally Hansen Diamond Strength (one I actually snagged for myself), Lady Luck from Sally Hansen Gem Crush and January from Julep. She didn't like that color on her, so I took it off her hands. 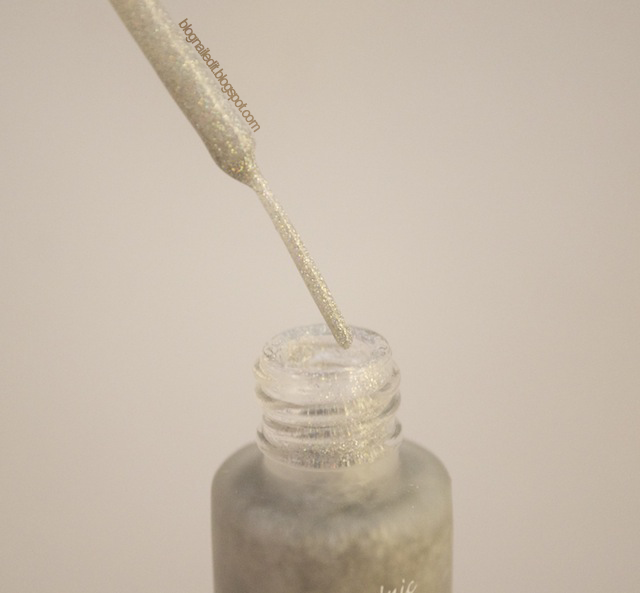 To top this load of polishes off is the amazing Load from Illamasqua. Look at it back there. Beautifully raunchy. Rounding out my sister's amazing gifts is my first bottle...or bottles rather...of Seche Vite. Look at this monstrosity! It's so much top coat, I don't even know what to do with it! 4 ounces! So that's it from her...but fear not, my haul has not ended! She did an unbelievable job of making my Christmas gifts a thrill to open. Thanks Sisser, I love you! 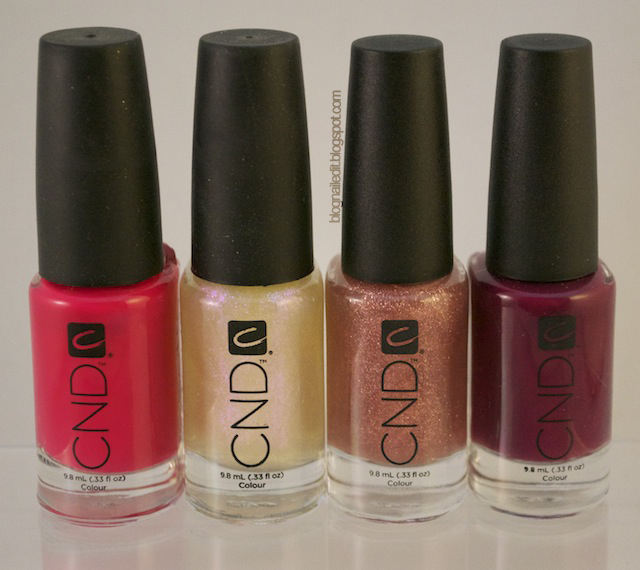 I mentioned in Sapphire that Andy's mom's trainer, Robbie really hooked me up with some amazing CND products. Here they are! She included in my bag of goodies some nail care items including some tasty CND Solar Oil (a cuticle conditioner), Scentsations lotion minis in Sparkling Champagne and Clementine & Mistletoe. They smell awesome! There are also several samples of CND's Spamanicure hand lotions, in Citrus Soothing Creme and Almond Hydrating Lotion. I absolutely love the smell of the almond lotion. 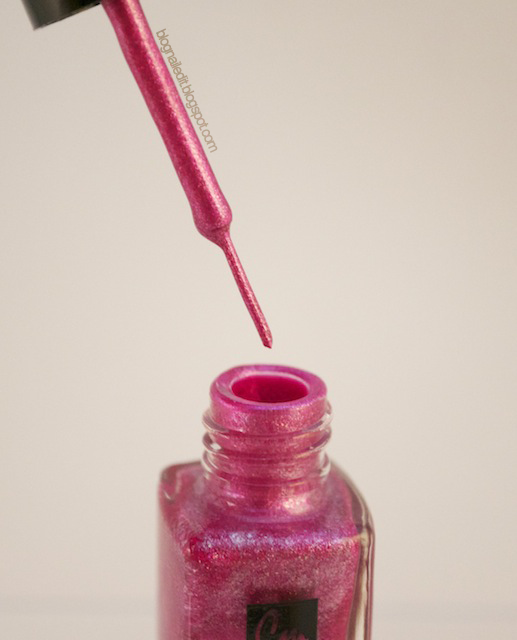 Finally, there are a few nail buffers, showing their support for breast cancer research with the words "Nail Community Cares" written on them. 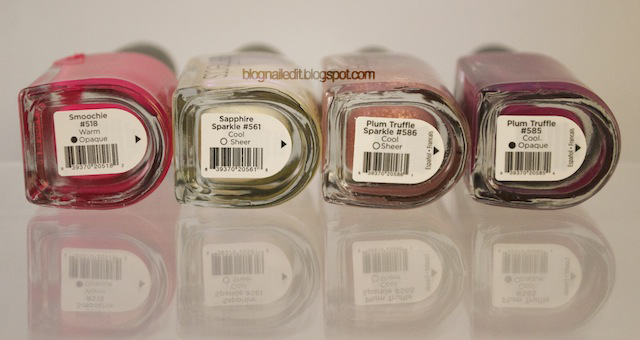 She also included some amazing colors, including Smoochie (#518), Sapphire Sparkle (#561), Plum Truffle Sparkle Effect (#586), and Plum Truffle Colour (#585). You've seen Sapphire Sparkle already in Sapphire. Thank you again Robbie, I love everything! Last but not least! 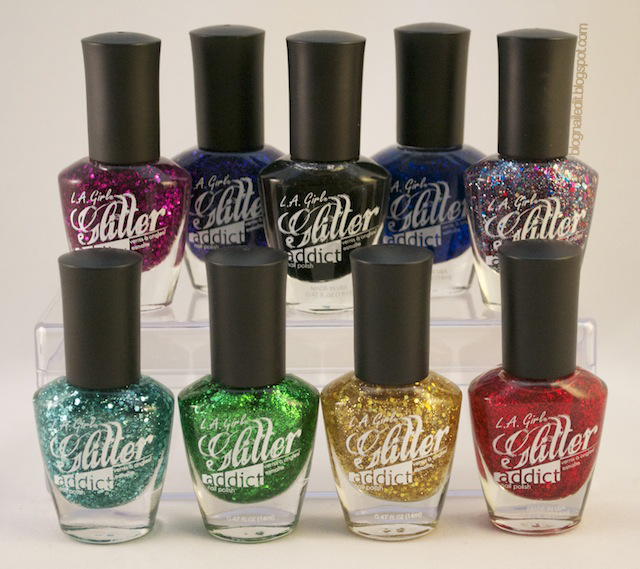 We have the polishes I bought myself. You've already seen the Urban Outfitters collection I picked up here, but here's a few more shots of those beautiful bottles. 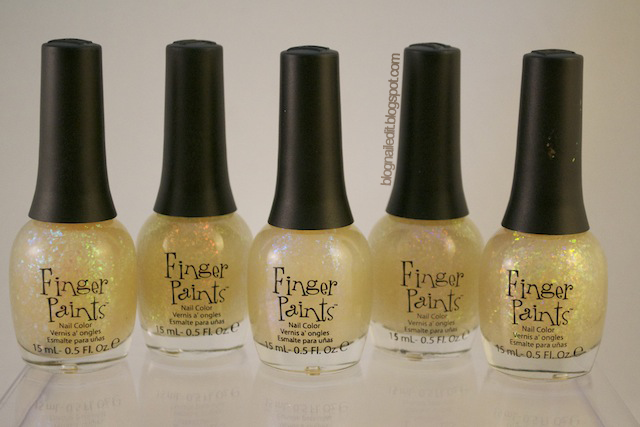 I also snagged the entire Finger Paints Special Effects collection today at Sally's! Not much to look at when they're in the bottles, but I'm sure you've seen them used by other ladies. My favorite shots are from Jen at The PolishAholic, from this post showing each on its own, and this post showing them all layered together. Oh many these are going to be fun to play with! So that's it. Can you feel my excitement through the screen? It's radiating! Amazing haul! 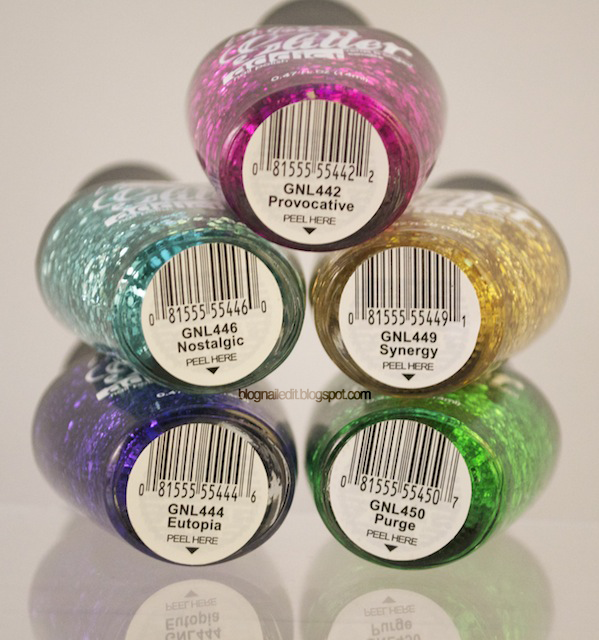 I'm sure you will show us very cool nail art with all these stash! I nominated you to Liebster Blog Award! What a lovely haul!! I think it's time for me to go shopping!! Your sister is the best! You also have an award on my blog. It's the kreativ blog award. Check it out! @Mihaela (lacquerbuzz) I saw! I've added it to my new page at the top of my blog called "Awards and Mentions". Thank you so much! @Bunny Nails Thanks Bunny! I've added this kind award to the top of my blog, in the page called "Awards and Mentions". Thank you again! Those are some amazing gifts! 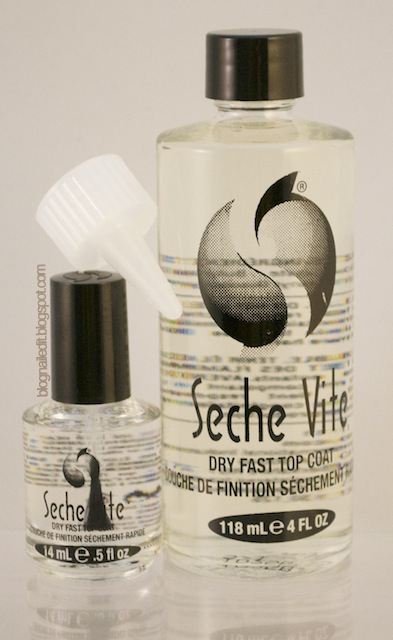 Do you know where she got the Seche Vite 4oz bottle? @Let's Get Nailed She lives in Irvine, and there are a few shops down there that sell polishes and salon supplies for excellent prices. One is called Beauty Zone, and as far as I know, that's where she got it. It's not a chain store like Sally Beauty Supply unfortunately, so you'd need to travel that way to get that size bottle for the price she snagged it at. Of course, I'm sure you could find it online somewhere, but I'm not sure where. Nice haul! 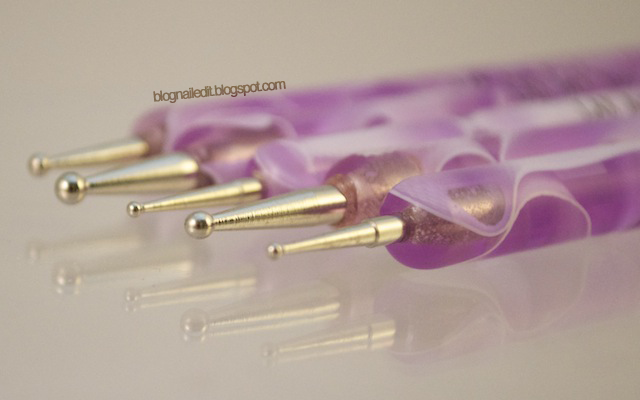 I love your photos, they are so clear and that's something that makes a blog so much better! @heartNAT Thank you! It takes time but I'm glad it's worth it! I wish your sister was my sister! Fantastic choices!